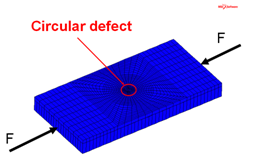 Question: How can FEA be used to predict the crack propagation of adhesives and resins in composites? Answer: You use the virtual crack closure technique. These methods work well for brittle adhesives, but if you have more flexible adhesives, use the cohesive zone modeling technique. Here is quick explanation of VCCT from Andrew Main’s Use of Finite Element Analysis to Create Robust Composite Designs – Going Beyond First Ply Failure. Virtual Crack Closure is a method that was originally developed for crack growth analysis in metal structures in 1977 (ref 3). Its use for composites gives us a tool for predicting crack propagation, primarily in adhesives and resins. The use of this technique relies on the user having knowledge of the material fracture toughness. This is not a problem but we then need to factor in the influences on these material properties. For example temperature, humidity, speed of loading and ageing may influence the toughness values. This could be a very expensive test programme! The following example of the use of VCCT illustrates its ability to show if an existing inter-laminar flaw will grow. (Figure 4) In this particular analysis the delamination grows until the skin can buckle. The analysis also includes contact effects between the plies. Figure 5 shows the final buckled shape and Figures 6 and 7 show the initial and final crack front. Figure 5. Detail of buckled shape. Aside from the obvious issues with getting the correct material data VCCT does have other limitations. In particular, the failure progresses as a brittle crack. This may not be correct for more flexible adhesives. In this situation we would switch to using the next method, cohesive zone modeling. Watch a webinar on modeling composites. Jump to 26:20 for more on VCCT. Watch a YouTube playlist on Composite Material Analysis. Watch a YouTube webinar titled Failure Analysis of Composite Structures. Watch a YouTube webinar titled Progressive Ply Failure Analysis of Advanced Composites. 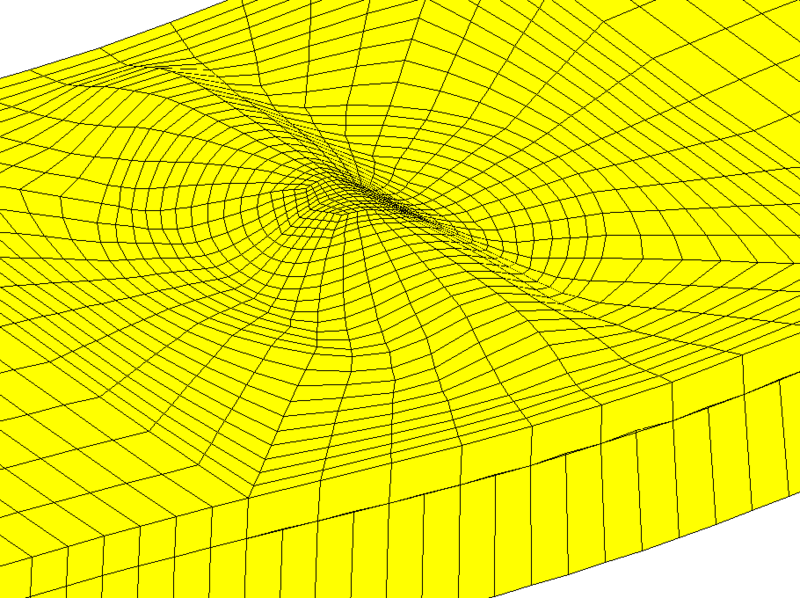 Watch a YouTube webinar titled Modeling Composites with MSC Nastran.